Desert Rose/Adenium Plants are trees of the desert so they take less water and need more sunlight. That is why in winter they have to be a little more careful. Because in the winter the sunlight is low and the fog is damaged by trees. 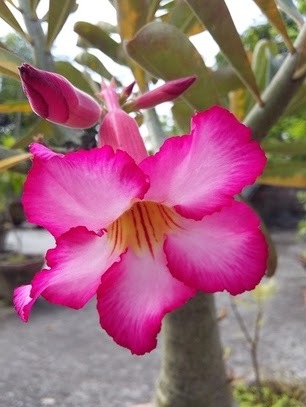 Desert Rose/Adenium is a succulent bush that is more common to the areas of Arabia, Thailand, Taiwan, Vietnam, and Africa, but can be easily found in many other countries. In this country, it is rather frequently used for bonsai due to the fact it can be grown in containers. Desert Rose/Adenium is an extremely beautiful plant. I find the colors of the shrubs especially appealing. Those, who have never seen any adenium plants’ pictures, will definitely find it hard to imagine shades of white, pink and red flowers that can make any place special. 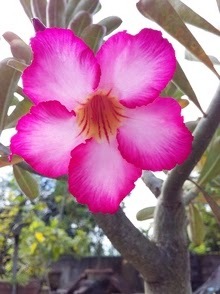 Desert Rose/Adenium has become a popular ornamental garden plant in the United States Department of Agriculture zones 10 to 11. The rest of us in cooler zones will have to resort to growing Adenium indoors, giving the plant a vacation in the summer on the patio or deck. Desert rose plant care can be difficult and requires some knowledge of the life cycle of the species. Desert Rose/Adenium Obesum, also known as Desert Rose, is native to Eastern Africa and Northern Arabia. They like full sun and are very heat tolerant. In the ground it can grow anywhere from 6-12 feet tall, it produces very attractive flowers and it is a popular plant among cacti and succulent collectors for its unusual trunk. In winter, the care of desert rose is higher. But, how to care for the desert rose in Winter. 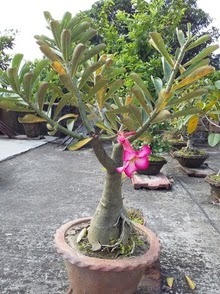 Desert Rose/Adenium is a plant to see very good. Maintenance in the summer is very easy. But in monsoons and winter, they need a little more maintenance. During the monsoon, the rainforest rose maintenance needs a little bit but in the winter a little less. Because due to heavy rain in the rainy season the stems of this tree are poisonous, so the desert roses have very little water. And the worst damage in the winter is in the fog. Fog is not good for all trees and it is good for many trees. The Desert Rose/Adenium must have very little water in winter and should be kept under the shade. Water is given once a week in winter. They should be kept under the shade but keep in mind that there should be good sunlight. This tree does not need very fertilizer. Additional fertilizers will cause the leaf leaves to turn yellow and die slowly. No fertilizers can be given in the winter. As the desert trees, they take everything needed from the wind directly. 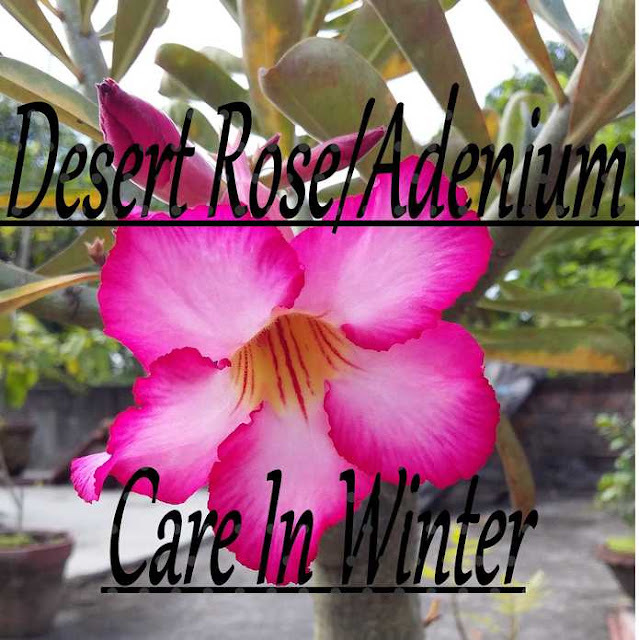 The best way to keep the desert rose Care in winter. To remove the tree from the tub and remove all the soil. The roots should be cleaned properly, with a rope to keep a tree hanging in the place where the wind and low sunlight come daily. In this method, desert roses are very lavish in winter. But this method can not be done in the rainy season. Because in the rainy season there are meshes in the air that can make the trunk worse. This method is very tricky but effective. First, you can take a small tree with a tray and then do the tray on your main trees. The pictures above that you saw were my garden trees. My Adenium tree is still flowering. Because I give water every alternate day, I have a small amount of fertilizer in the month. "Make Bonsai Soil Without Money"
Bonsai soil created by mixing all the ingredients well. First of all, know how to make Bonsai. "How to make organic pesticides at home without money"
Make organic pesticides at home without money.